Among a variety of other titles – such as secretary of state, former senator, and one-time Democratic candidate for president – John Kerry was called “snow-shoveling scofflaw” by the Associated Press, which reported Thursday’s $50 fine. The fine followed a citizen’s complaint, submitted to the website Universal Hub on Wednesday. A resident took a picture of a snowy sidewalk at the five-bedroom Boston townhouse where Kerry has been living since 1995, Politico website reported. Kerry was in Saudi Arabia with US President Obama, attending the funeral of King Abdullah, so he wasn’t able to clear the sidewalks in front of his Beacon Hill mansion himself. The city saw a massive snowstorm this week, prompting its Mayor Martin Walsh to take action against those who turn a blind eye to snow drifts. 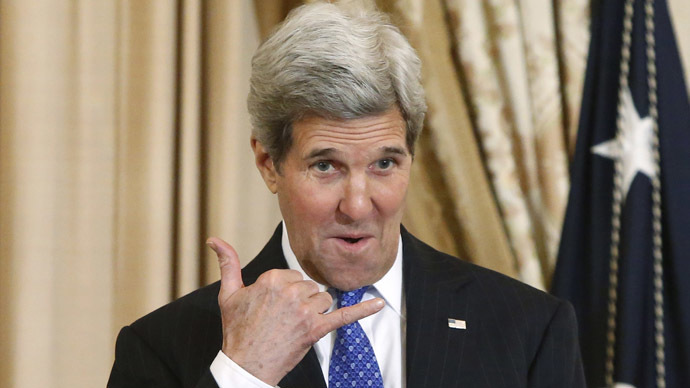 With an estimated net worth of around $200 million, Kerry shouldn’t have too much trouble stumping up for the penalty.